Brooke Mueller has returned home to be with her family after a stint in rehab over the festive period. Brooke Mueller has returned home after a stint in rehab. 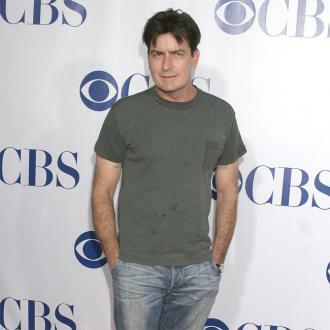 The 39-year-old former wife of Charlie Sheen is back home with her family after being hospitalised last year when she was found walking barefoot and looking confused near a bar in Salt Lake City in Utah with her and the 'Two and a Half Men' star's children, seven-year-old Bob and Max. The 'Strictly Sexual' star is focusing all of her time on staying sober as looks to have a much healthier 2017. Charlie - who found out he was HIV-positive in 2011 - has said that his ex-spouse and their kids are doing ''good'' since they've been reunited at the family's home. Despite being in rehab over Christmas, her family spent time with her. Her sister, Sydney Wolofsky, said at the time: ''I know that we're going to see her on Christmas. We're going to go over [to the rehab facility] to visit and just spend time with her. My brother, his wife and two kids, my parents and I are going to go to Utah to spend Christmas with her. Brooke would not let us show up without the boys.